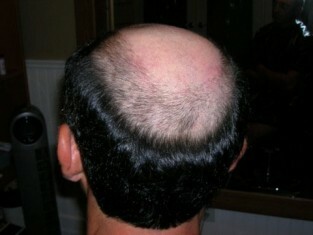 Male pattern baldness is often thought to be the loss of hair due to genes inherited from ones parents. 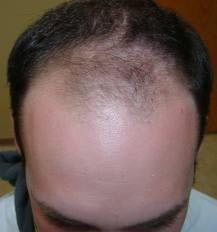 We have found it to be the “Service Body Soon” indicators for organs in the body that are stressing. 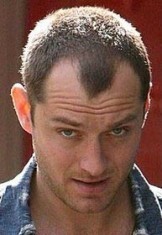 When you help those organs heal, the hair tends to grow back. It really can be just that simple. This could mean that what is inherited is weak organs. If this is the case, it makes sense to focus on helping the organs heal. Isn’t this possibility worth investigating! 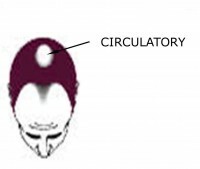 The circulatory system can show up as alopecia in people with congestive heart failure, metal toxicity, arterial blockages and etc. 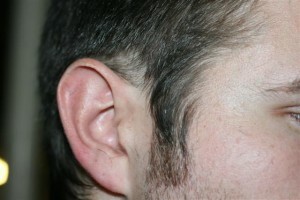 Notably, this indicates that the heart and/or blood vessels are struggling to function. Detoxification with a supplemental routine. 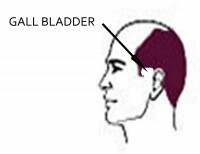 The hair can be lost in this area when there are issues with the gall bladder. 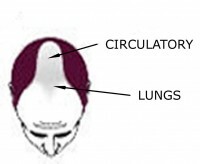 The lungs can show up as alopecia in people who smoke, people with lung cancer and various issues with their lungs. 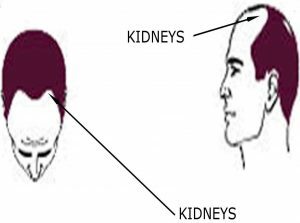 The kidney pattern can show up as alopecia when there are issues with the kidneys struggling to function. 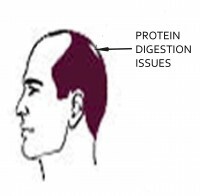 This area can go bald when the proteins that are eaten are not digested properly. 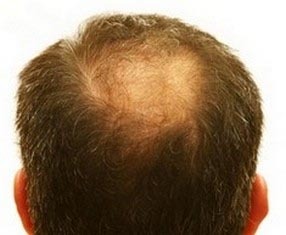 This is the pattern of alopecia that you see when the lungs, kidneys, and circulatory system are all struggling as well as digestive issues being present. Detoxification with a supplemental routine and enzymes containing proteases.